Directed by National award-winning filmmaker Hansal Mehta, Omerta stars National award-winning actor Rajkummar Rao in the role of terrorist Omar Sheikh. The film revolves around the journey of well-educated British terrorist Omar Sheikh (Rajkummar Rao) and how he became what he was for the world, a perpetrator booked for his involvement in the terror strike of 9/11, kidnapping and murdering American journalist Daniel Pearl? The film very ingeniously sheds light on various aspects of his life. Seems like Rajkummar Rao has some secret process or formula that he follows to nail every character that he takes up. Keeping his consistency intact, he yet again delivers a performance only he could have delivered. In the role of Ahmed Omar Sheikh, he is pitch perfect. At times it becomes a little hard to believe that he is the same actor who played an innocent rookie in Newton or the one who won our hearts with his enchanting act in Bareilly Ki Barfi. Rao is best at whatever he does and he displays his range once again in his latest film. That Hansal Mehta is an intelligent storyteller is something we all have known after watching his films such and Shahid and Aligarh. His latest offering also gives a good cinematic experience as Omerta is thrilling to the core and keeps you engrossed throughout. His direction and storytelling are flawless like always. But the moment it draws towards its climax, you kind of feel dissatisfied. Why? Because there is nothing extraordinary in the story despite it being told beautifully. You don't find something that is new to your knowledge. The film shows exactly what many of new channels have shown about Sheikh for years. It is quite slow paced too. Having said that, Omerta is a well-made film with a powerful performance by Rajkummar Rao. The film has been shot brilliantly. Some old videos from the archive have been used to lend a sense of authenticity. Barring a few places, editing is also good. Background score is outstanding. You can watch Omerta if you want to see Rajkummar Rao attempt a character which he has never tried before. His sinister act will win your heart. Having said that, if you are expecting Omerta to be filled with commercial ingredients, you better skip it. The latest trailer of Omerta is darker, intense and heart pounding! 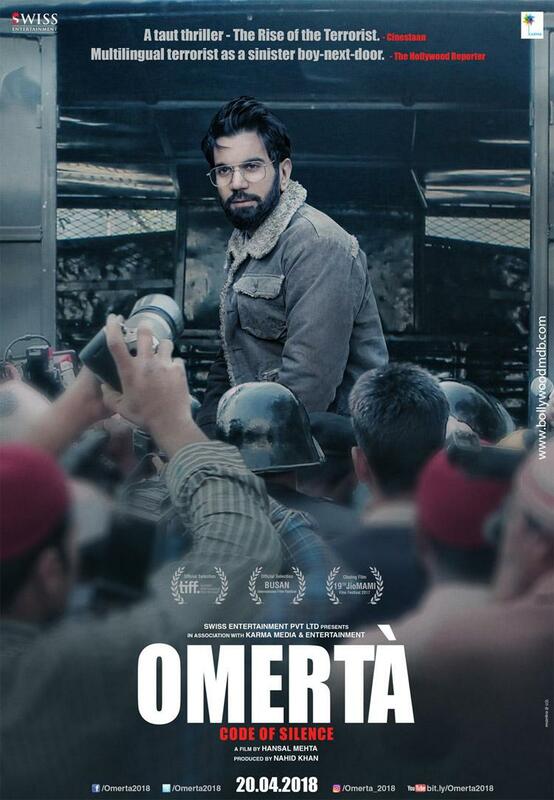 Check out the latest poster of Omerta starring Rajkummar Rao as terrorist Omar Saeed Sheikh!